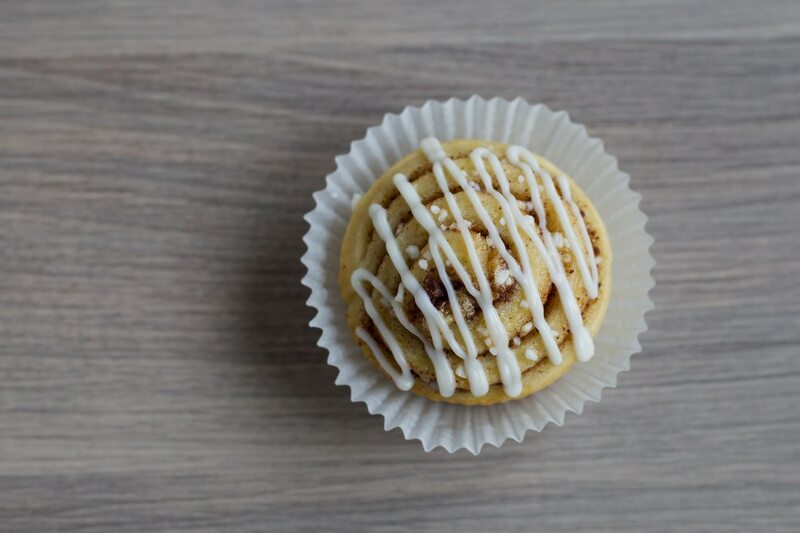 Among the many wonderful (and quite random) events that Sweden celebrates there is Cinnamon Bun Day on October 4th. Of course the past Octber 4th I was too busy to even care, but October 5th happens to be World Teacher’s Day so two large trays of cinnamon buns magically appeared in our staff room at school to celebrate us. So one day later I managed to make up and celebrate both the Swedish cinnamon bun and being a teacher. So wonderful! The cinnamon bun is, together with IKEA and Zlatan, one of the most renowned Swedish exports of all time. Up here it is called kanelbulle and I have already written about it in this blog two cinnamon bun days ago (here). 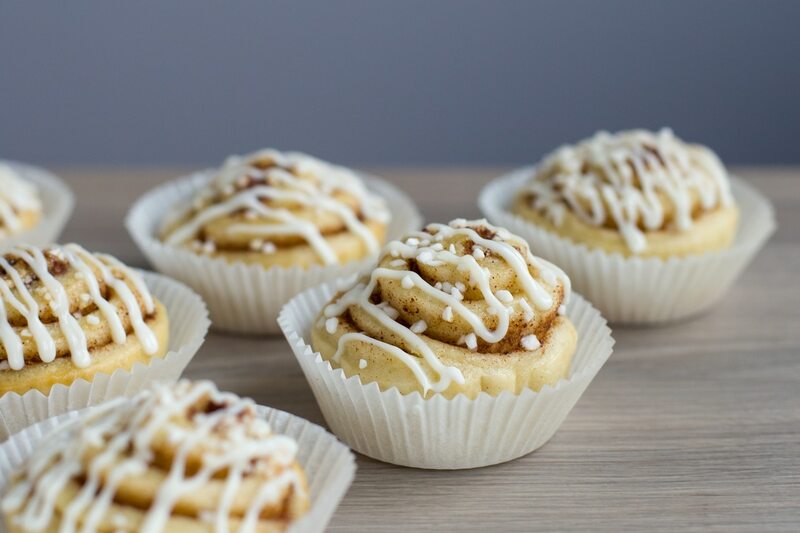 Actually, I’m not sure if the first cinnamon roll actually originated in Sweden, but judging from how popular it is over here, I’m ready to bet the Swedes proudly take credit for it. I don’t blame them at all. 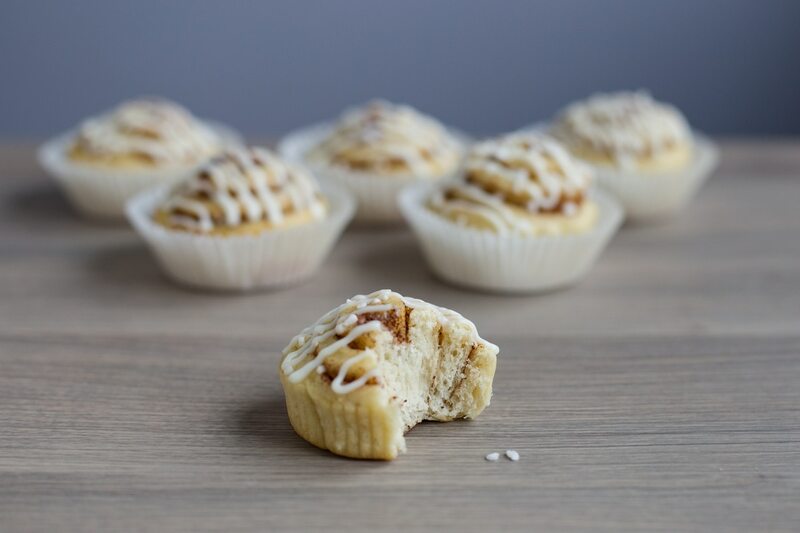 Ever since I made my first batch of kanelbullar I’ve been fiddling with the idea of baking them in a muffin tin. I actually had tried once with a little leftovers from a regular batch and I had liked the outcome, but I never really made a whole batch like that. Also because the recipe for a regular batch yields a lot. A smart idea could be to halve it and try, and this is exactly what finally I did. Melt the butter in a small saucepan. In a large bowl, combine the yeast and sugar and stir until the yeast has dissolved. Next, stir in the milk and the melted butter using a hand whisk. Crack in the egg and mix it up. In another bowl, combine flour, salt and cardamom. Add it to the other bowl and mix first with a spatula, then knead it when it becomes a dough. Leave the dough in the bowl, cover the bowl with a layer of cling film and then with a kitchen towel and let it sit for one hour. Combine the cream cheese and the powdered sugar in a bowl and stir until the cream cheese turns liquid. 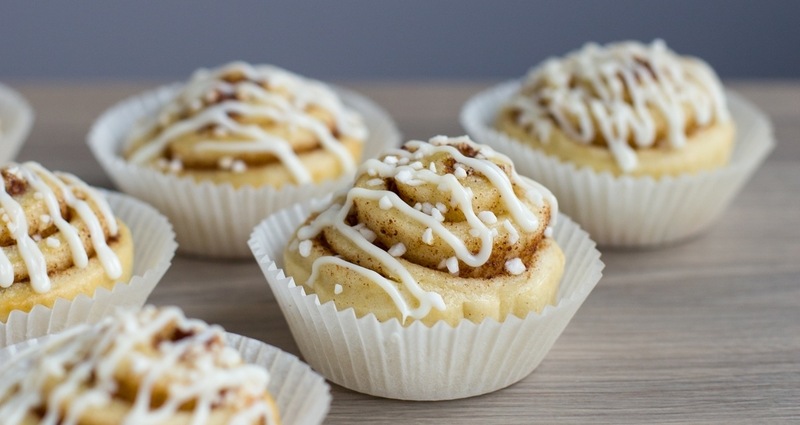 Fill a pastry bag with this mixture and decorate your cinnamon bun/muffins. These cuties tend to dry up quite quickly, so I recommend storing them in an airtight container. Or eating them all right away because they’re delicious, and outside it’s so dark and you only live once, right? Cinnamon bun day sounds like mind of day. 🙂 These look wonderful! Next 4th of October dint forget to celebrate then 🙂 it’s a good excuse to bake!! 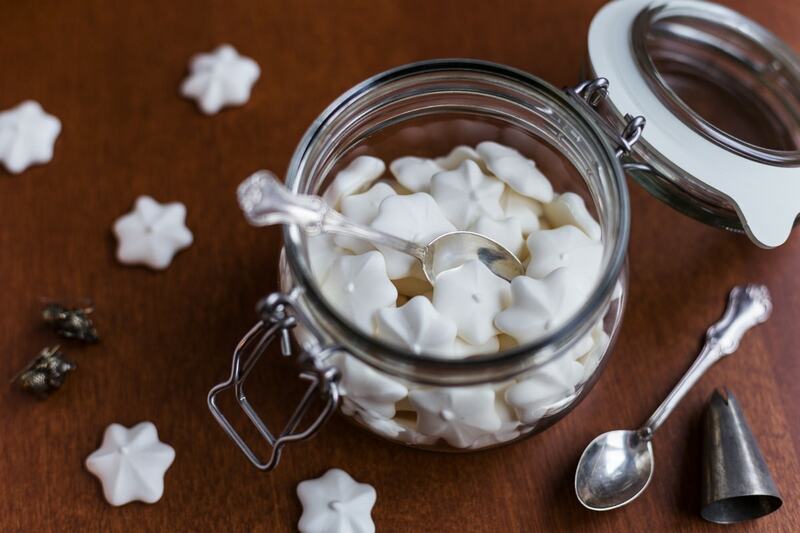 They’ll make the perfect Christmas treat! 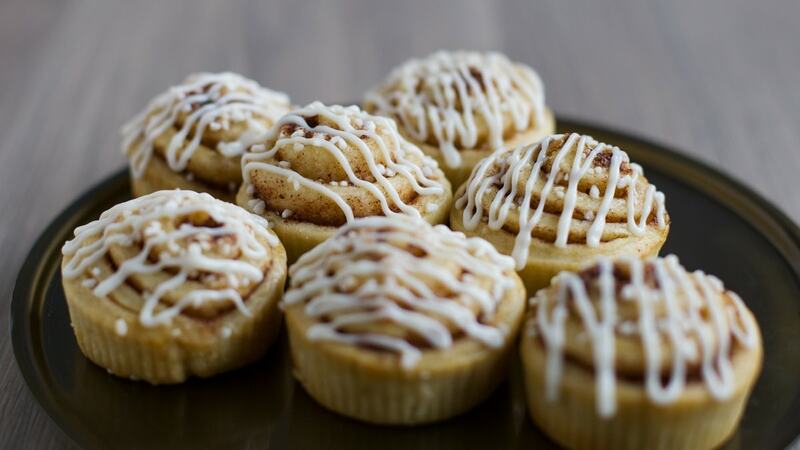 Cinnamon Bun Day — great idea!